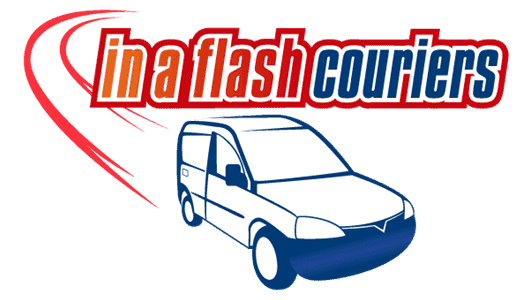 In a Flash Couriers Ltd (“In a Flash Couriers “) operates www.inaflashcouriers.co.uk and may operate other websites. It is our policy to respect your privacy regarding any information we may collect while operating our websites. This website uses Google Analytics to help analyse how visitors use this site. Google Analytics uses “cookies”, which are small text files placed on your computer, to collect standard internet log information and visitor behaviour information in an anonymous form. Note the deliberate emphasis of anonymous, as no personally identifiable information is collected about you unless you explicitly submit that information on this website. The anonymous information generated by Google Analytics cookies about your use of this website is transmitted to Google – not us. This information is processed to compile statistical reports on website activity for this site only. We use these reports to evaluate aggregate visitor usage so that we can optimise the content, and its marketing, to better meet your needs. This is essential for us to operate this website as a free to use service. We will not link, or seek to link, any data gathered from this site with any personally identifiable information from any source, unless you explicitly submit that information. If you have registered for the Pro Lounge, submitted a blog comment or asked to be notified of updates, we request your name and email address and potentially other non-specific demographic information. For example, your language preference, gender and location. We do this firstly to ensure you are not a robot or spammer, and secondly because the more information we have on actual people (as opposed to cookies), the better we can understand what content is of interest to visitors. If you wish your personal information to be removed from this site, simply contact us at info@inaflashcouriers.co.uk and we will do this at the earliest opportunity. Note, that in removing your personal details, all your associated content is deleted – such as comments you may have made. We do not agree with 3rd party tracking –that said, embedded content from other providers may track your interaction with our content. For example, if we embed a video from YouTube, Google will track your interaction. Similarly a click on a social “share” button will result in a third party tracking that activity – such as Facebook, Twitter, TripAdvisor, Google+ etc. Unfortunately, there is no way around this if you wish to share content socially or interact with content we have embedded from a 3rd-party. Our advice – set your browser to always block 3rd-party cookies. Content will still work, but no visitor data will be sent to a 3rd-party.